“Betting is a mugs game”. That is a saying you will hear time in, time out from people who more often that not have just lost money as their selection hasn’t come in. But is there anything more enjoyable than seeing stories like the chap who last season won a huge accumulator bet by predicting all four English league winners, as well as the Carling and FA Cups. Who didn’t raise a smile at this? But if you are brave enough anyone can make a buck or two on football betting. Take the example below of Lewes football club and how if you got in early enough you would have placed a bet at decent odds. 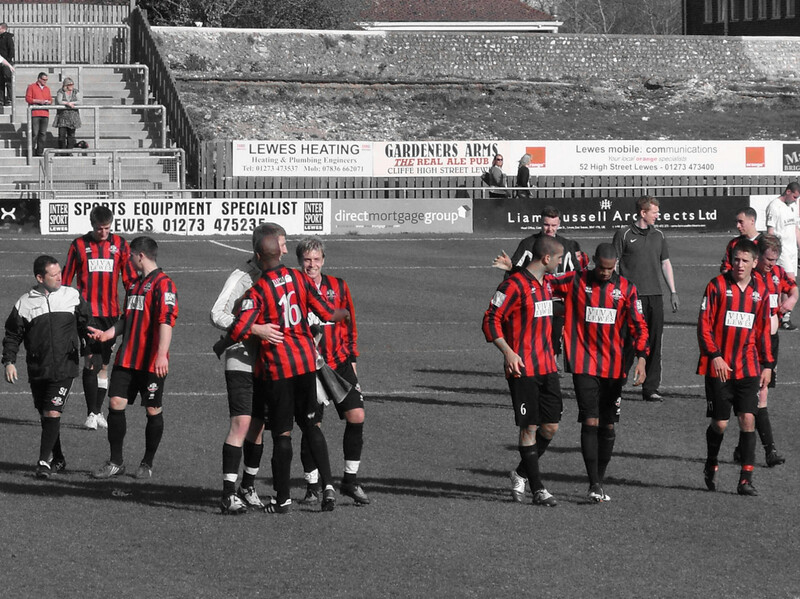 April 30th – Lewes are relegated to the Ryman Premier along with Thurrock. Early signs of a quick return are not good with many of squad poised to leave as well as the almost certain departure of the management team and a few betting companies offer mid-table odds. May 14th – Playoffs from the Ryman North/South sees Leatherhead and Wingate & Finchley join the Premier League. Leatherhead suddenly find themselves shorter odds than Lewes. Tim O’Shea, Lewes manager quits. June 4th – Ex-manager Steve King is announced as the new Lewes manager, leaving Blue Square Bet South Farnborough. Such a bold move by both manager and club board sends the Rooks odds on promotion crashing down to be third favourites. June 10th – At the Conference AGM it is announced that Rushdon & Diamonds have been expelled from the Blue Square Bet Premier, meaning that Southport are reprieved from relegation. The knock on effect sees relegated Thurrock reprieved from relegation to the Ryman Premier and thus Aveley keep their place. The ripple effect of these changes see odds shorten again on Lewes gaining promotion. June 15th – Lewes manager Steve King signs four new players, including striker Paul Booth who was the leading scorer for Lewes in their championship winning season back in 2008. Lewes are installed as favourites to win the league. So in the space of just a few weeks the odds on Lewes winning the league had shortened by 50%. Where once there was value, now there is more of a calculated risk. And this is where betting exchanges come into their own where you are able to lay off the bet in cover your position. But how do you know what are good odds and what should be avoided? Well, companies such as Freebets.com have an excellent Betting Calculator that you can use to work out how much you need to stake to ensure you do not end up out of pocket. One thing is certain with football. With 42 individual rounds of matches, the odds on the final outcome will continue to be fluid. Positions change on a weekly basis, and thus it is important that if you have a long term season bet that you continue to use something like a betting calculator to ensure your position is covered. Events off the pitch have just as much impact on the odds. Last season St Albans City were dealt a death blow by the FA who found the club guilty of financial irregularities and penalised them 10 points, essentially relegating them. Their offence dated back nearly three years. So the moral to the story is be brave, be bold and be prepared to lose. But above all make sure you know what your position is.